Soak ThermaFreeze Ice Sheet in water (warm is ideal) – watch it expand! You won’t find it anywhere else! ThermaFreeze SILVER cools without becoming wet (they stay moist but never wet) so you can keep them on as long as necessary. They also don’t drip like ice so they don’t mix with the food or soak the product needing refrigeration. 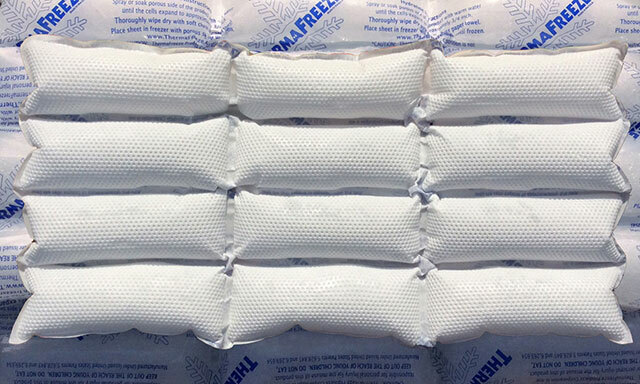 ThermaFreeze lasts longer than ice, Cryopack, Flexi Freeze and Techni Ice. ThermaFreeze is made in the USA from 100% non-toxic material to provide you safe cooling whenever and wherever necessary. We get chilled looking at ThermaFreeze SILVER Ice Sheets! 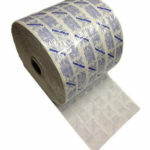 Lasts longer than ice and gel packs, lasts longer than Original ThermaFreeze! ThermaFreeze FOURS ice sheets are about the same size as original ThermaFreeze sheets but with cells twice the size, holding four times the frozen weight. ThermaFreeze FOURS doesn’t only last longer than our competition, it lasts longer than our other products. ThermaFreeze BLACK ICE deep freezes your food products or body parts with the performance of our other ice sheets. ThermaFreeze lasts longer than competitive ice packs and ice sheets to provide you with the deepest cooling ice pack available. The deep cold freeze of ThermaFreeze BLACK ICE Ice Sheets! Lasts longer than ice and gel packs, longer lasting than Original ThermaFreeze! Reuse the sheets by refreezing or rehydrating first. The packs may shrink over 10-15 days due to evaporation. ThermaFreeze meets your cooling needs without causing drips, leaks and wetness. They provide the coldness of dry ice so you can keep them on as long as necessary. They also don’t drip like ice so they don’t mix with the food or soak the product needing refrigeration. ThermaFreeze lasts longer than ice, Cryopack, Flexi Freeze and Techni Ice. ThermaFreeze is made in the USA from 100% non-toxic material to provide you safe cooling whenever and wherever necessary. 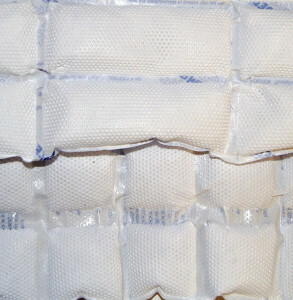 1 ounce of material (like our 4 x 6 cell, 10 x 15 inch sheet) converts to 1.5 pounds of frozen ice packs! 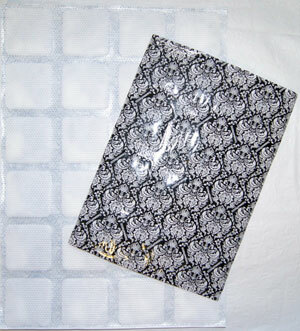 Hydration takes only seconds per sheet and is done by soaking or spraying the cloth side of the pad with water. Once hydrated, it is ready to be placed in a freezer and will be fully frozen in approximately 2 hours. To use, take it out of the freezer and place it where you need an ice pack. 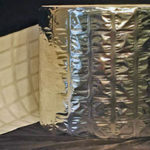 The sheets will stay frozen outside of a cooler for up to 2 hours, way longer than ice, way longer than traditional gel packs, and even longer if put in an insulated cooler! For pain relief, ThermaFreeze is best used with Ice Wraptor Ice Wraps. We have had great success bring pain relief to multiple sclerosis sufferers. Read our blog written by a relieved user. 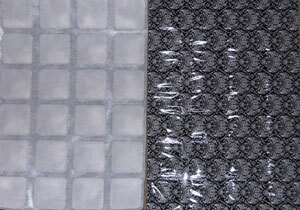 comfort, and a mesh inner layer to promote cold transfer. 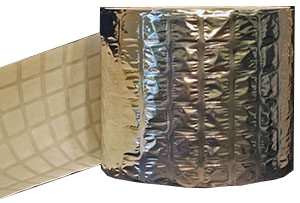 Simply insert the frozen ThermaFreeze Ice Sheet to make it a wearable, portable, mobile wrap and you are no longer tied to your home or couch. The elastic sticks to itself as well as the outer layer, so it fits all body parts, from small joints to shoulders up to 57 inches!